“Marie Curie is a wonderful charity that supports a lot of my constituents in North Durham when they most need help. It is great to see the work that local residents have done to raise funds and to improve their village. 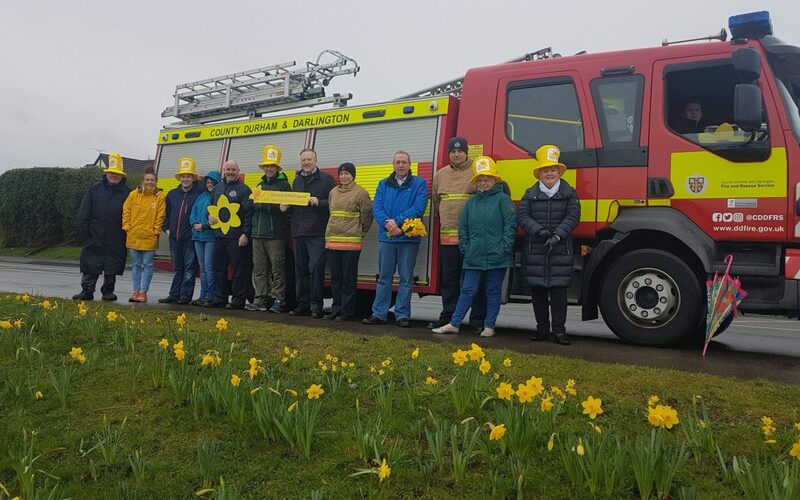 Pictured with representatives from Perkinsville Residents’ Association, Marie Curie, Cllr Alison Batey, Cllr Danny Wood and representatives from the County Durham & Darlington Fire & Rescue Service. Further information about Perkinsville Residents’ Association is available on their Facebook Page. Further information about Marie Curie is available on their website.